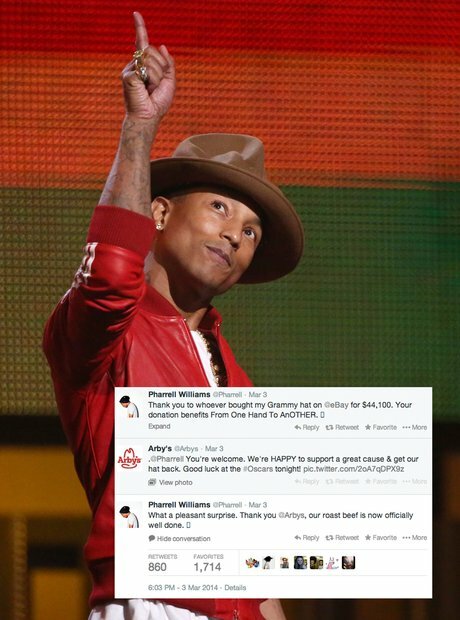 We found out that Arby's were the ones that bought Pharrell's famous Grammys hat. 8. We found out that Arby's were the ones that bought Pharrell's famous Grammys hat. "What a pleasant surprise. Thank you @Arby's, our roast beef is now officially well done".